The primary objective of this study is to define (1). The long-term significance of NP events attributed to SLE and non-SLE causes in the SLICC inception cohort using patient self-report health-related quality of life (HRQOL), physician assessment; (2). The recurrence of NP events; (3). The cumulative organ damage they may cause; and (4). Their impact on mortality. Secondary objectives are (1). To determine the association between previously characterized and novel autoantibodies with clinical NP events attributed to SLE and non-SLE causes and (2). To identify the clinical and laboratory predictors of NP events and NP damage in SLE patients using regression and multi-state statistical models. As of July 2017, 10 publications have emanated from this effort. In short, 28% of patients experienced at least one NP event at the time of diagnosis although most them could not be attributed to lupus. Clinically distinct NP events attributed to lupus were found to be associated to anti-P antibodies and the Lupus anticoagulant (LAC). On follow up, these antibodies were associated with an increased risk of intracranial thrombosis and lupus psychosis, respectively. The short-term outcomes of NP events were determined by both, the characteristics of the events and their attribution, with NP events attributed to lupus having a better outcome than those that were not; however, both types of events affected HRQOL as measured by the mental and physical capacity scores (MCS and PCS) of the SF-36. In fact, the MCS and sub-scales scores are strongly associated with the clinical outcome of NP events in SLE patients. Specific NP events that have been examined so far include seizure disorders, headache and mood disorders. In terms of seizures, they primarily occur close to the diagnosis of SLE, in African descendants, of low socioeconomic status and in patients who already have some organ damage. Most seizures resolve without lasting impact on the patients’ HRQOL. Antimalarials are protective of their occurrence. In terms of headache, it is a relatively common occurrence in SLE, but overall it is not associated with global disease activity; although headaches are associated with lower HRQOL, they tend to resolve over time independent of lupus-specific therapies. Finally, in terms of mood disorders, they tend to be multifactorial in origin, they affect HRQOL but are not associated with disease activity, autoantibodies or organ damage. They respond to non-specific lupus therapies. In short, the SLICC cohort is a very valuable resource which is permitting the evaluation of common and uncommon NP events, their significance and outcome. Over the ensuing years, as follow of these patients continues, valuable additional information will certainly be obtained. Dr. John Hanly is Professor of Medicine (Rheumatology) and Pathology at Dalhousie University and Attending staff physician at the Queen Elizabeth II Health Sciences Center in Halifax (Nova Scotia, Canada). He is the Director of the Dalhousie University Lupus Clinic in Halifax. 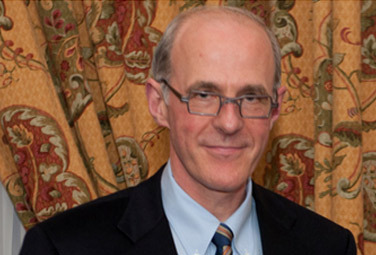 He obtained his medical degree from the National University of Ireland in 1978 and trained in general internal medicine and clinical rheumatology in Ireland prior to immigrating to Canada in 1984. He undertook clinical fellowships in Rheumatology and Immunology at the University of Toronto and McMasterUniversity before joining the Faculty of Medicine at DalhousieUniversity in 1987. John is the Past Chair of the Systemic Lupus International Collaborating Clinics (SLICC). He has published over 150 scientific articles, the majority in lupus; he has received several awards in recognition of his achievements in clinical research in lupus. 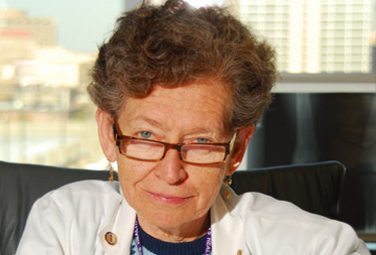 Dr. Hanly’s major research focus is the study of pathogenic mechanisms and clinical outcomes in lupus, with emphasis on ways in which lupus may affect the brain and other parts of the nervous system. This work is funded by the Canadian Institutes of Health Research (CIHR).